Today’s article provides an overview of the best steel stocks in the stock market. Steel stocks normally are passed over for coverage in the financial media because they are standard industrial stocks that don’t attract a lot of headlines. They are cyclical investments that, in the best of times, enjoy robust growth. In the worst of times, they do poorly. However, steel stocks have been in the news quite a bit over the past year because of the trade war with China. President Trump slapped tariffs on Chinese imports, which are basically a tax. China did the same to the United States. Steel is the primary commodity that the Chinese are attacking, and there’s been quite a bit of controversy over how smart this approach is for the President. The long-term theory is that by creating less import supply, U.S.-based steel mills will increase production to fill demand. The problem is that expenses increase to meet this enhanced production, and that’s because it’s cheaper to get the raw materials overseas. To meet these expenses, the steel manufacturers pass on the costs to the end-users, and that depresses revenue. That being said, the trade war is short-term in nature, so I’ll be evaluating the stocks for the long term. If you’re in a hurry, below are our picks for the most valuable steel stocks as of this writing. 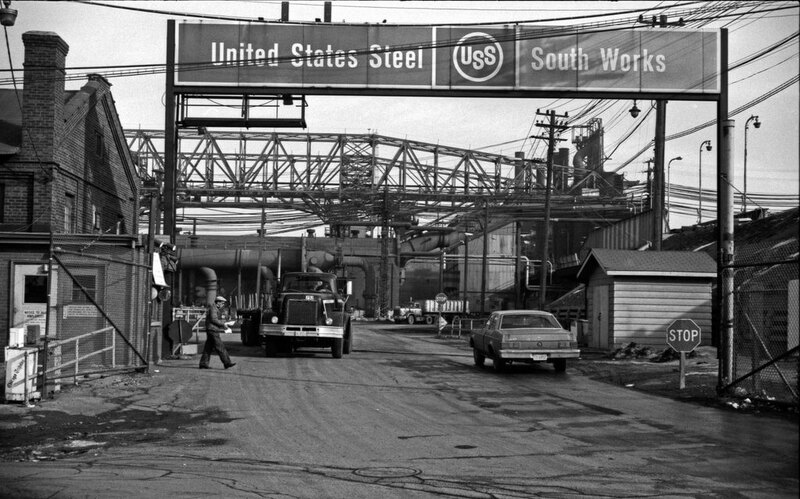 U.S. Steel: Legacy producer that can withstand the trade war. Nucor Corporation: Poised to profit from enhanced infrastructure spending. AK Steel: A value play in an oversold stock. Keep reading and you’ll find out more about these winning steel stocks and my thoughts on each. Steel stocks represent investments in companies that manufacture products made from steel, or they may take raw steel materials and process them for other manufacturers. That doesn’t help us identify the important facets of the best steel stocks, however. You have to understand that steel is a commodity and subject to numerous market forces. That includes global and regional economic cycles, as well as the trade war with China. China has other problems that relate to demand. Its manufacturing activity index slowed to a significant point low in October, ending at just about 50, down from 51.6 in February. Thus, the tariffs are affecting demand, and China is the world’s biggest consumer of steel. That lack of demand ripples through the sector. Another problem that affects even the best steel stocks is oversupply. Because Chinese mills generate high margins, there’s been a significant ramp up in production. Thus, high supply pushes prices lower. However, the World Steel Association predicts global steel demand to 1.4% in 2019. The long-term trend is also robust, thanks to rising incomes and still relatively low interest rates. Europe also sees strong demand and an increase in non-residential. Read Also: What’re the best growth stocks to buy right now? 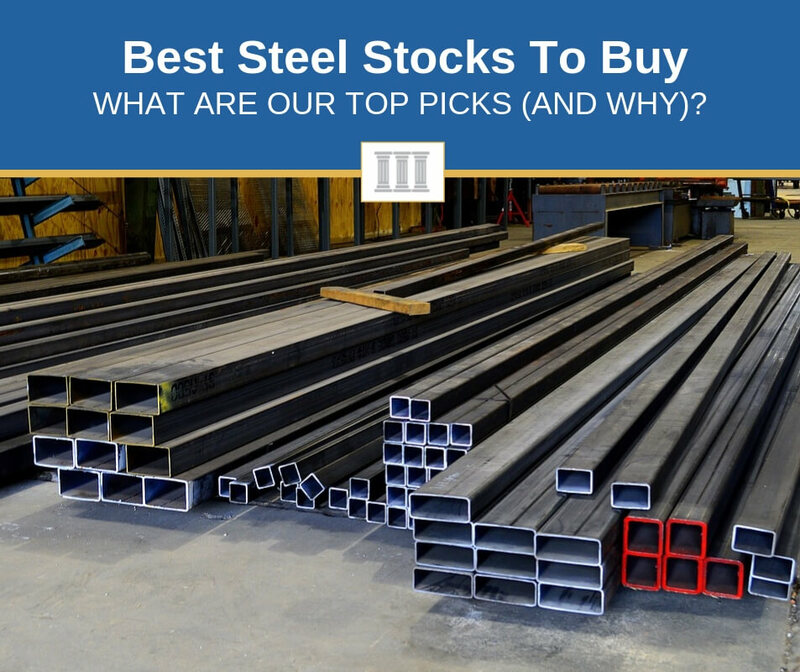 How Do You Determine What Qualifies As The Best Steel Stocks? There are many sectors where a new business can break into the scene, grow, and stick around for a long time. When it comes to industrials, however, the best stocks are going to be those that have been around for a very long time. That’s because it takes a very long time for a company to put all the pieces for a full-on manufacturing chain into place. One just can’t set up a smelter and be a steel company. It takes a lot of capital, a lot of expertise and logistics, a supply chain, and countless other factors. So I would suggest the best steel stocks belong to companies that have been around for a very long time. Debt can be a company’s best friend and worst enemy. If a company can draw down reasonably priced debt, deploy that debt properly, and generate cash flow to pay interest and principal, then it’s in good shape. Debt can become onerous, however. Too much debt can be drawn down if a company expands too quickly. Expensive debt may sometimes be all that is available depending on the state of the banking system or the company’s own health. Too much debt will kill a company when the economic cycle turns down. You may be sick of me harping on cash flow in every article, but the simple truth is that without generating good free cash flow, a company will never go anywhere. Not only that, it won’t be able to service debt, grow, or pay dividends. Cash flow is particularly vital for cyclical industries like steel. Again, when the economy turns down, the safest steel stocks will have the cash flow to maintain interest payments and maintain their equipment. Here’s a video that provides some additional information on investing in steel stocks. U.S Steel is a 117 year old company that produces and sells flat-rolled and tubular steel products in North America and Europe. Its Flat-Rolled Products segment serves customers in conversion, automotive, construction, container, and appliance and electrical markets. The Europe segment serves customers in the construction, service center, conversion, container, transportation, appliance and electrical, oil, gas, and petrochemical markets. The Tubular Products segment handles customers in oil, gas, and petrochemical. What makes it a good stock? U.S. Steel qualifies as one of the must-own steel stocks for several reasons. First, it is certainly a legacy business with its 117-year history. Second, it has a very solid handle on debt. Its debt levels have been very reasonable for years, and currently company has $2.5 billion of debt drawn. That’s more than a half billion dollars less than in 2014. That debt is also offset by $1.34 billion in cash. Finally, it has modest, if not fantastic, cash flow. It has the occasional negative year, which we would expect in a cyclical business. But it generated $425 million in free cash flow in 2016, $300 million in 2017, and about $130 million in the past twelve months. Nucor is a 78-year-old firm that operates in three segments: Steel Mills, Steel Products, and Raw Materials. The Steel Mills segment sells to fabricators, agricultural companies, steel service centers, and manufacturers in the energy, automotive, heavy equipment, and transportation sectors. The Steel Products segment produces items for contractors, reservoirs, bridges, utilities, hospitals, schools, fabricators, distributors, and manufacturers for use in highways, airports, stadiums, and high-rise buildings. The Raw Materials segment sells ferrous (aluminum) scrap. Nucor is more than 4 times larger in market capitalization that U.S. Steel, despite being around four decades fewer than its legacy competitor. Obviously, a 78-year history makes it a legacy company. Nucor has one advantage over U.S. Steel in that it is more diversified, operating with aluminum as well as steel. It has also managed its debt very carefully and, until recently, had been paying it down. Current, the company has $4.24 billion of long term debt, which is where it was in 2015. However, it was down to $3.2 billion earlier this year. It can afford that debt, however, because it has a cash and investments balance of about $2.8 billion – a number that’s also been increasing. And it’s been increasing because of free cash flow. It generated a small negative cash flow balance of $45 million in 2016, but then exploded to positive $560 million in 2017, and $770 million in 2017. AK Steel produces flat-rolled carbon, stainless, and electrical steels, and tubular products, but also buys and sells steel and steel products, and produces metallurgical coal. It mostly sells products to automotive manufacturers, infrastructure and manufacturing markets, and heating, ventilation and air conditioning equipment providers. I listed AK Steel because, while not a legacy company, it is a potential value play. It’s only been around for 25 years, and I wouldn’t have touched it back in 2015. However, with the present environment, and the stock selling at $3 per share, there may be value here. It has $2 billion in debt, yet interest payments are negligible for a variety of complex reasons. The point, though, is that it is using its cash flow for other things. It has a steadily improving net income line. A Q1 loss has given way to almost $150 million in net income over the past nine months. Even during the tough times, it generated positive free cash flow. While Nucor and U.S. Steel were struggling in 2015, AK Steel put up $100 million in free cash flow and $130 million in the past twelve months. Read Also: What’re the top agricultural stocks to invest in?